Whether you’re dreaming of the speedy 911 or spacious Cayenne, our friendly and knowledgeable sales team will help you find the luxury vehicle you want. Prefer to lease rather than buy? Not a problem. Our staff have an in-depth knowledge on all the current lease offers that are available. We also carry a wide selection of luxury pre-owned vehicles, including Porsche Approved Certified Pre-Owned. Our Certified Pre-Owned Porsches have been meticulously inspected to ensure the highest level of quality, so you can feel confident choosing a nearly new vehicle. Included with every CPO vehicle is the Porsche Approved Limited Warranty coverage that handles 100% of the cost of parts and labor for covered components. Once you find the new Porsche vehicle you’ve been dreaming of, our finance experts are on hand to help make it yours. We work closely with both local and national lenders to get competitive finance rates and terms. Contact Porsche Rochester’s finance team today, or get a head start on the financing process by filling out our secure online application. After you have your dream Porsche, our team of qualified service technicians are here to help keep it in excellent condition. Regardless if you bought your vehicle from us or not, our ASE-certified technicians have the knowledge and expertise to handle a wide range of services, including oil changes, brake pads, transmission problems, and so much more. Contact our Service Department at (585) 334-1600 to schedule your appointment today. 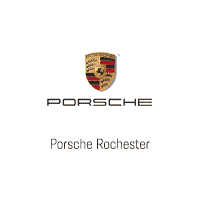 Call or visit us today and discover how you’ll do better with Porsche Rochester. With our dedicated sales and service team, wide selection of new and used Porsche vehicles, and competitive financing options, we’ll have you in your new luxury car in no time. Experience the difference for yourself by calling us at (585) 334-1600, or by visiting us at 3955 Henrietta Road in Rochester, New York. I got a new Carrera T two months ago. I had the most polite buying experience at Porsche Rochester. The entire team treated me with courtesy and professionalism. I highly recommend. Paul and Porsche of Rochester are great. I always feel like they appreciate my business and provide good advice. Highly recommended!